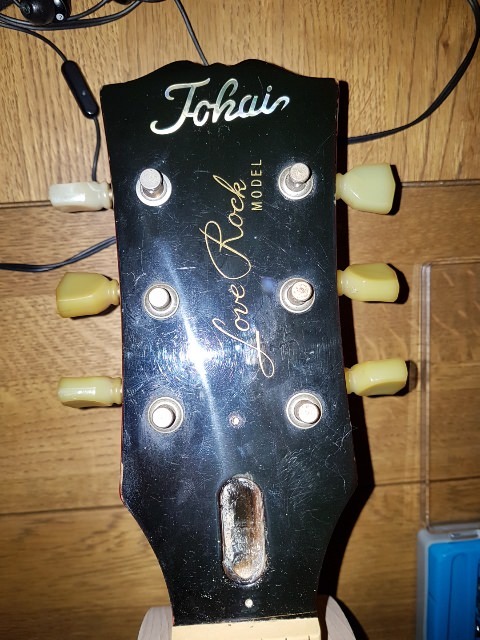 Tokai Forum - a subsidiary of TokaiRegistry.com :: View topic - I *think* this is '95 MIK ALS42 Love Rock, can you help..? 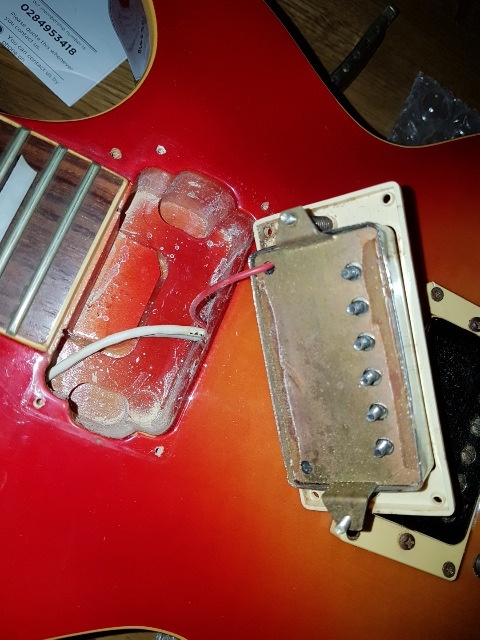 I *think* this is '95 MIK ALS42 Love Rock, can you help..? Posted: Thu Mar 08, 2018 3:09 am Post subject: I *think* this is '95 MIK ALS42 Love Rock, can you help..? 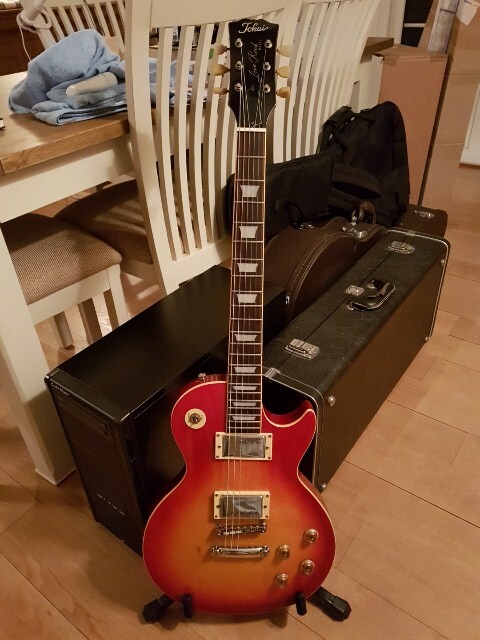 So, I recently made a hasty bid on a Tokai LP which I assumed was MIJ, but on closer inspection of the photos is almost certainly MIK..too late, the bid was made and I ended up winning! A couple of things are slightly different to what I might expect. I think I read something from a member whose 90s MIK was short-tenon but this one appears to be long-tenon. Checking the 1995/8 catalogs I think the color would have to be cherry sunburst but all the pictures show it fading to yellow, whereas mine is far more orange (which I actually really like). Posted: Thu Mar 08, 2018 5:50 am Post subject: Updated with more manageable sized photos! 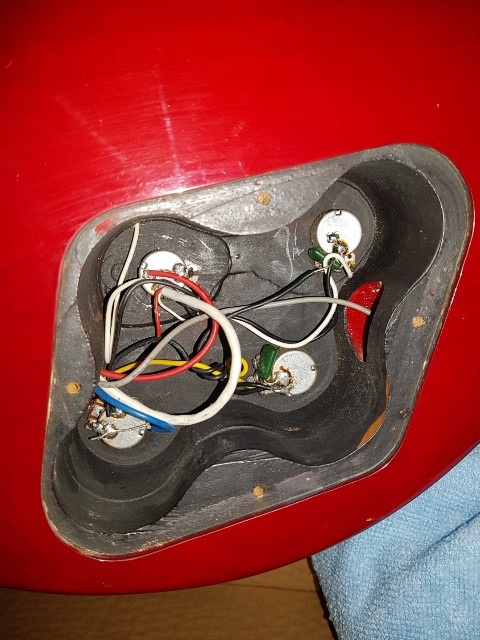 Sorry for huge photos, have resized..
No MIK experts knocking around here? 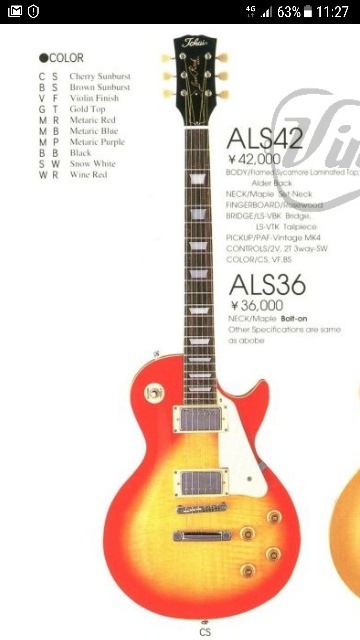 Its not a made in Japan model so if it has no serial number on the back and a 2 screw trussrod. I think you are right on the money with your guess. Do you have a better photo of the bridge? The finish and electronics look MIK.